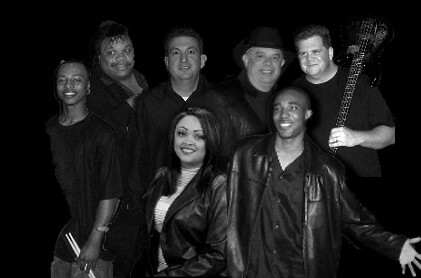 A high-energy party band that features male and female lead vocalist and a celebrated rhythm section. The band is very popular in the Dallas-Fort Worth Metroplex. They are comprised of seasoned professionals that are ready to put your guests on the dance floor all night long. Please take the time to check out their extensive song list. You will see that there is a little something for everyone to enjoy. They play just the right mix of Disco, Jazz, R&B, Classic Rock, Motown, and Dance music. They are always adding the new and the favorite older songs to their repertoire. "Everyone loved the band! The variety of the music and the level of talent was appreciated.Everyone had so much fun!" "I have had so many wonderful compliments regarding the band. Everyone loved them-Wonderful!" "You guys were awesome! I'm still getting rave reviews! I love how you played to the crowd..."
"They were fantastic! I will definitely use The Mix for our next party. The Mix made the party!"